This proven platform enables you to create your system according to your specific needs with the help of our automation specialists, or to select a preconfigured automation solution for your application. 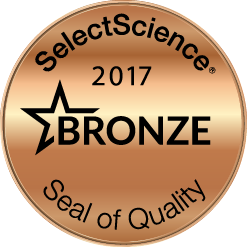 We are proud to announce that Tecan Freedom EVO was granted the Bronze Seal of Quality for consistently receiving multiple positive reviews. Four different base unit sizes and ten different robotic arms are available. All arms can be easily upgraded or exchanged at your site, ensuring that your workstation meets your laboratory needs both now and in the future. Each liquid handling system offers optimized pipetting parameters for a broad range of liquid types and volumes, with fast liquid level detection, liquid availability check and preferential non-contact dispensing. Let your application decide which technology is right for you. Freedom EVO workstations provide unrivalled flexibility, uniquely offering a choice of pipetting technologies – even allowing you to combine air and liquid displacement – on a single workstation. Increase speed and enhance throughput, ensuring assay reproducibility and providing efficient use of resources. 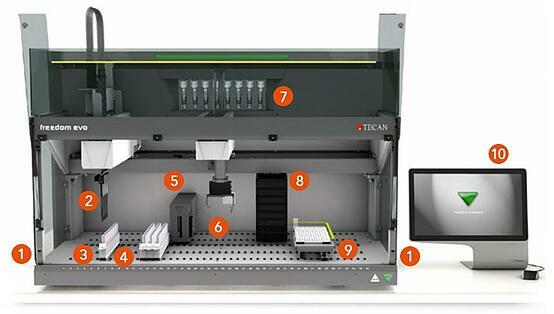 The Freedom EVO simultaneously carries out liquid handling and moves labware to the integrated Spark® reader. 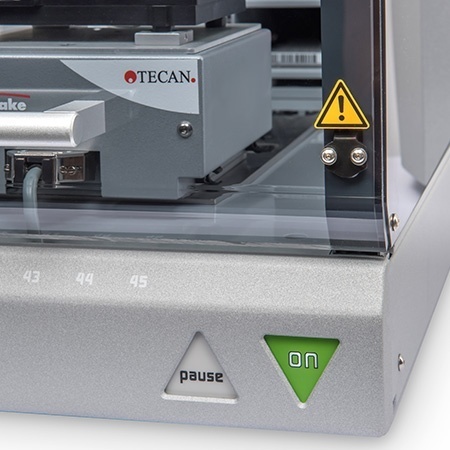 Tecan offers an extensive range of carriers for positioning standard labware – such as tubes, plates, reagent bottles and slides – on the freely configurable worktable. Carriers are easily positioned, and can be routinely removed for reloading or to reconfigure the platform. The system quickly checks for the presence or absence of liquid in individual tubes, microplate wells and reagent vessels, and can establish in advance if sufficient liquid is present for the requested pipetting step. Clots or particles that obstruct the pipetting tip during aspiration can also be easily detected, and the operator notified. 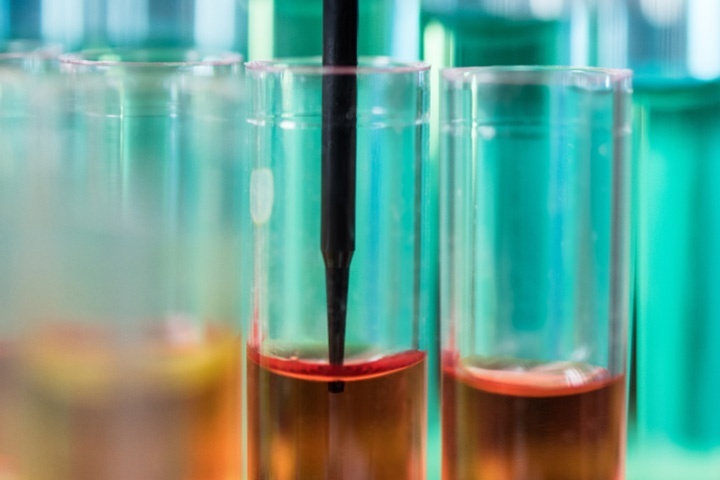 Carriers and labware can also be automatically identified before or during processing, confirming the identity of samples, reagents and assay vessels, as well as detecting any missing labware or samples. Operation is straightforward; the intuitive Freedom EVOware® user interface optimally combines pipetting, robotics and scheduling of multiple devices in a single package. The software uses icon-driven, drag and drop implementation screens to guide protocol development for users at any skill level. It comes with helpful information pads, application templates, creation wizards and three dimensional protocol simulation. VolitionRx is using its proprietary Nucleosomics® technology platform to develop a range of diagnostic assays for cancer and other conditions, creating non-invasive tests that identify disease-specific nucleosome signatures circulating in the blood. High throughput biomarker validation is a crucial aspect of the company’s workflow, which it has chosen to automate using four identical Freedom EVO® 200 workstations. US-based PhenoLogix is offering a new paradigm in SPE method development for CROs and diagnostic labs. Combining the Freedom EVO® SPE workstation with the Phenomenex Strata™-X 96-Well SPE Method Development Plates, this approach reduces development time from six to seven days to under two hours. Extended periods of walkaway operation are essential to the work carried out by Spanish energy producer Repsol, which relies on two Freedom EVO® platforms and Tecan’s 350 µl nested liquid handling disposable tips for its research into alternative energy sources. Researchers at the Victorian Infectious Diseases Reference Laboratory have completely automated an influenza hemagglutination inhibition assay on a Freedom EVO® workstation using the newly developed FluHema™ module from SciRobotics. It is the first laboratory in the world to achieve this, now running and analyzing up to 128 microplates daily with far better flexibility, reproducibility and overall assay performance. The Sanford Health BioBank in the USA is using a Freedom EVO® HSM workstation and ReliaPrep™ Large Volume HT gDNA Isolation System for reliable, automated extraction of DNA from blood for genomic medical research. A Freedom EVO® 150 workstation is providing the Central Diagnostic Laboratory at SAC Consulting with reproducible and reliable ELISA-based screening for Johne’s disease and other bacterial and viral pathogens in cattle. The system has increased the laboratory’s throughput by three-fold compared to manual processing, to an average of 1,000 samples a day. The Freedom EVO® series offers four different worktable capacities (75, 100, 150 and 200 cm) each with building-block modularity that brings precision, reliable liquid handling and easy-to-use robotics. A compact liquid handling platform for small life science laboratories in academia, biotechnology, research and analytics, providing complete process automation in a small footprint. This is the multi-functional robotic platform for large scale and high throughput applications. The largest workstation in the Freedom EVO series, it provides an extensive work area and variable configurations, with a choice of liquid handling and robotic arms. The interlocking shields ensure operator and process safety by protecting the work area and preventing unintended interruptions. The system can be easily paused by the operator, allowing the work area to be accessed at any time. The integrated status lamp clearly shows the instrument status, allowing the user to see at a glance if the system is working (green lamp) or requires manual input or assistance (red lamp). Your Freedom EVO® can evolve as your needs change. Up to three arms can be mounted in appropriate combinations, and additional robotic arms can be added or exchanged on site in your laboratory. The instrument design offers liquid handling and robotic elements that work together to automate your process and optimize your workflow. Parallel processing increases speed, enhances throughput, ensures assay reproducibility and provides efficient use of resources. Ten different types of robotic arms are available; seven for the Freedom EVO 100 to 200 and four for the Freedom EVO 75. Each platform can be equipped with up to two pipetting arms, providing up to 16 flexible pipetting channels or high density 96- or 384-channel pipetting to significantly increase throughput for plate replication, dilution and whole plate processing. The robotic arms transport microplates, tubes and other labware quickly and efficiently between worktable, peripheral devices and labware storage. They enable further integration of devices such as plate readers, washers or centrifuges, as well as additional storage and incubation options. Samples are not always in perfect condition for pipetting, and manual handling errors can easily occur when loading samples and reagents onto the workstation. To minimize the risk of these errors affecting your liquid handling processes, the Freedom EVO® has a number of built-in process security features, allowing early identification of anomalies and immediate, automated corrective actions. Identifying and correcting issues early is not only critical for a uniform output, it also reduces the risk of sample contamination and supports regulatory compliance, helping you to save time, money and resources for optimum efficiency. Disposable Tip Carrier, 3 positions, flat, landscape, immobile and not compatible with PosID™. If using the waste chute (30097480) only 2 positions.. Disposable Tip Carrier, 3 positions, flat, landscape, immobile and not compatible with PosID™. If using the waste chute (30097480) only 2 positions will be available for disposable tips. This carrier can be used with all ANSI format tip boxes. If using a Multi-Channel Arm™ (MCA) and multiple side by side tip boxes, no continuous individual access to a disposable tip stack is possible. Can also be used with ANSI format lab ware, but a dedicated microplate carrier is recommended due to better cLLD (capacitive liquid level detection) signal. This carrier is recommended if larger devices in the back of a Freedom EVO™, for example if a PosID™ scanner is being used. Carrier is 6 worktable grids wide, however if using a Robotic Manipulator (RoMa) Arm with standard length fingers to access side by side tip boxes, 3 additional grids on either the right or left side will be required to move the tip box or access the bottom stack of tips. Disposable Tip Carrier, 4 positions, flat, landscape, immobile and not compatible with PosID™. If using the waste chute (30097480) only 2 positions.. Disposable Tip Carrier, 4 positions, flat, landscape, immobile and not compatible with PosID™. If using the waste chute (30097480) only 2 positions will be available for MCA disposable tips, but still 3 positions available for Liquid Handling Arm™ (LiHa) tips. This carrier can be used with all ANSI format tip boxes. with standard length fingers to access side by side tip boxes, 3 additional grids on either the right or left side will be required to move the tip box or access the bottom stack of tips. Disposable Tip Carrier, Wide Spacing, 3 positions, flat, landscape. Immobile and not compatible with PosID™. If using the waste chute (30097480).. Disposable Tip Carrier, Wide Spacing, 3 positions, flat, landscape. Immobile and not compatible with PosID™. If using the waste chute (30097480) only 2 positions will be available for disposable tips. This carrier can be used with all ANSI format tip boxes. Use this carrier for individual access to disposable tips racks with the MultiChannel Arm™ (MCA). This is important if using different tip types (e.g. 100 µL, 200 µL). Can also be used with ANSI format lab ware, but a dedicated microplate carrier is recommended due to better cLLD (capacitive liquid level detection) signal. Carrier is 6 worktable grids wide, however if using a Robotic Manipulator Arm™ (RoMa) with standard length fingers to access side by side tip boxes, 3 additional grids on either the right or left side will be required to move the tip box or access the bottom stack of tips. Standard eccentric gripper fingers for Robotic Manipulator Arm™ (RoMa) to access tip boxes or microplates in a hotel, remove microplate leads, or tip..
Standard eccentric gripper fingers for Robotic Manipulator Arm™ (RoMa) to access tip boxes or microplates in a hotel, remove microplate leads, or tip box layer wafers..
Microplate Carrier, 3-Position, standard height, landscape, immobile and not compatible with PosID™. All sites are accessible by a Liquid Handling..
Microplate Carrier, 3-Position, standard height, landscape, immobile and not compatible with PosID™. All sites are accessible by a Liquid Handling Arm™ (LiHa) or MultiChannel Arm™ (MCA). Carrier is 6 worktable grids wide. Microplate Carrier, 4-Position, flat, landscape, immobile and not compatible with PosID™. All four sites are accessible by a MultiChannel Arm™ MCA. Sites 1 and 4 cannot be accessed by all tips on an 8 channel Liquid Handling Arm™ (LiHa). Carrier is 6 worktable grids wide. Microplate Carrier, 4-Position, standard height, landscape, immobile and not compatible with PosID™. All four sites are accessible by a MultiChannel..
Microplate Carrier, 4-Position, standard height, landscape, immobile and not compatible with PosID™. All four sites are accessible by a MultiChannel Arm™ (MCA). Sites 1 and 4 cannot be accessed by all tips on an 8 channel Liquid Handling Arm™ (LiHa). Carrier is 6 worktable grids wide. Shaking 4 Slot Incubator with 35 mm slots (for 28 mm cell culture dishes) calibrated at 37°C. From ambient temperature + 5°C to 53°C. Includes cable..
Shaking 4 Slot Incubator with 35 mm slots (for 28 mm cell culture dishes) calibrated at 37°C. From ambient temperature + 5°C to 53°C. Includes cable and mounting plate. Robotic Manipulator Arm™ (RoMa) gripper fingers (10290247) are required. Object is 6 worktable grids wide. Nest adapter for 1 microplate position for Te-Shake™, with hold down. Adapter is mounted directly on a single Te-Shake base unit (30042870). Usage..
Nest adapter for 1 microplate position for Te-Shake™, with hold down. Adapter is mounted directly on a single Te-Shake base unit (30042870). Usage of this adapter allows up to two Te-Shakes per base plate (10760722). Nest adapter for 2 microplates on one Te-Shake™, with hold down on each site. Adapter is mounted directly on a single Te-Shake base unit (30042870). Usage of this adapter only allows one Te-Shake per base plate (10760722). Te-Shake™ Microplate Shaker, 100 – 1500 rpm, 24V, CAN-bus control. Includes communication cable.Requires mounting plate (10760722) to be placed on..
Te-Shake™ Microplate Shaker, 100 – 1500 rpm, 24V, CAN-bus control. Includes communication cable. Requires mounting plate (10760722) to be placed on the worktable. Requires microplate nest adapter (30081239 or 10760725). Vacuum block for solid phase extraction (SPE). Tall - 62mm high, Material PMMA (non chemical resistant, transparent), Type C. For top skirted.. Vacuum block for solid phase extraction (SPE). Tall - 62mm high, Material PMMA (non chemical resistant, transparent), Type C. For top skirted cartridges. Comes with hard sealing gasket mounted and additional soft sealing gasket. Use soft sealing gasket for low pressure applications. Waste chute for disposable tips for disposable tip carriers. Compatible with all disposable tip formats, as well as nested tip layer wafers. ..
Are you looking for your own customized solution? Do you want to integrate a specific device? Tecan Labwerx supports you in planning, realization and final installation of a tailor-made solution specifically designed for your needs.